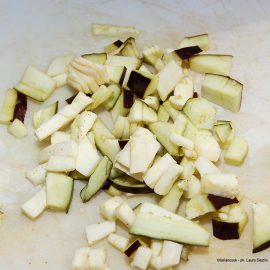 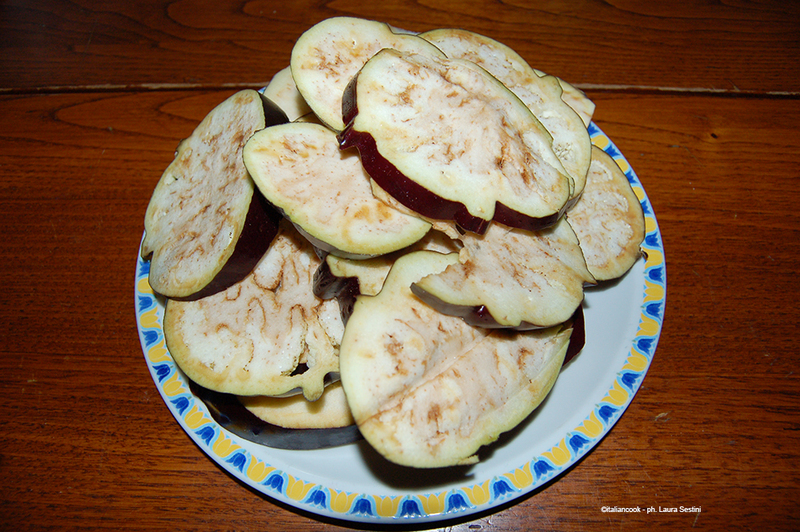 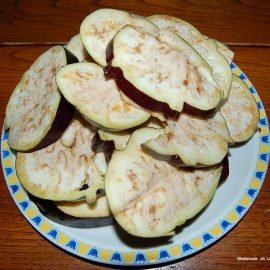 Wash and slice an eggplant, sprinkle the slices with a little salt to remove the bitterish. 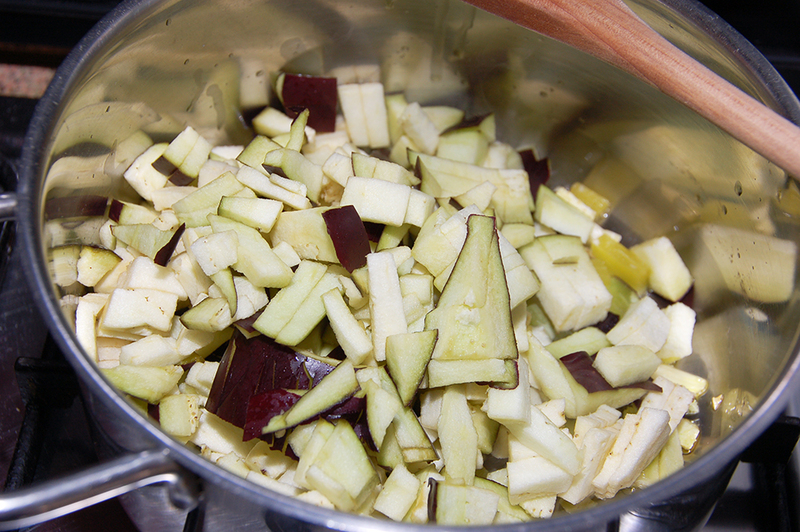 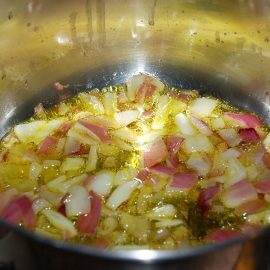 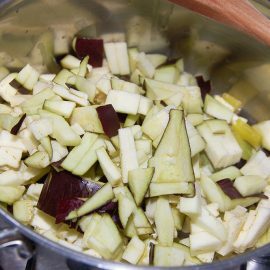 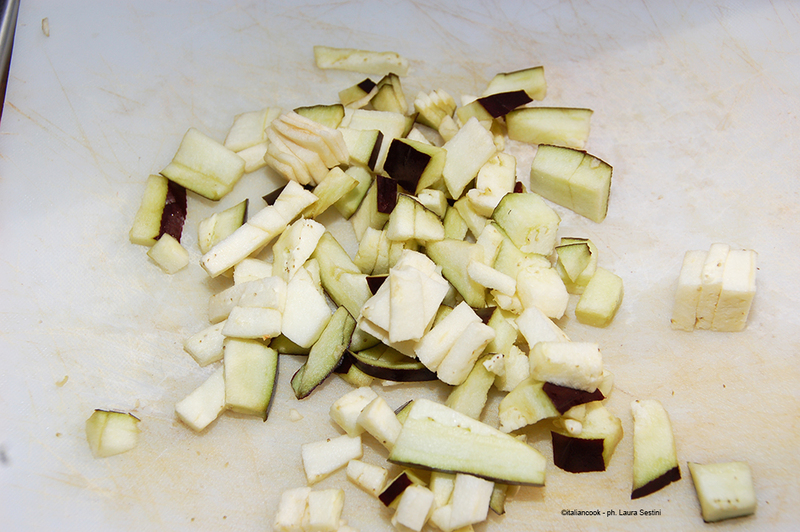 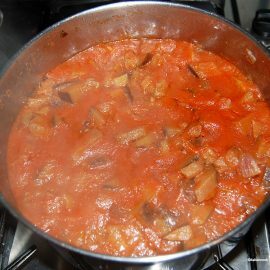 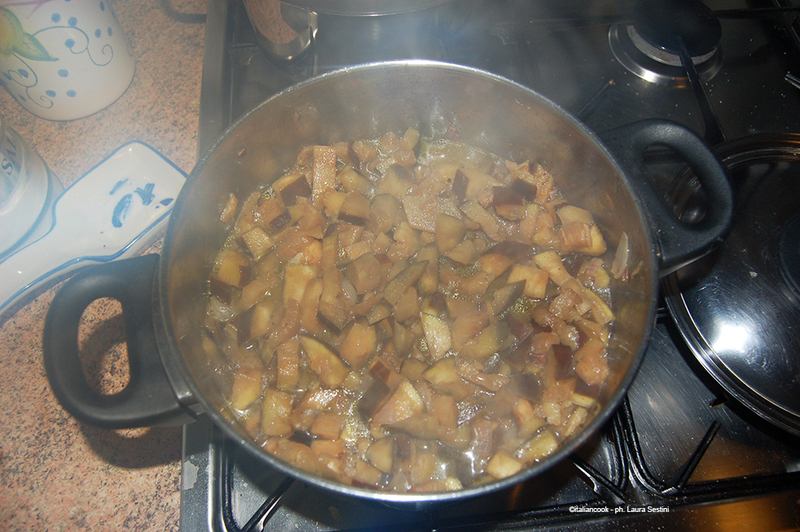 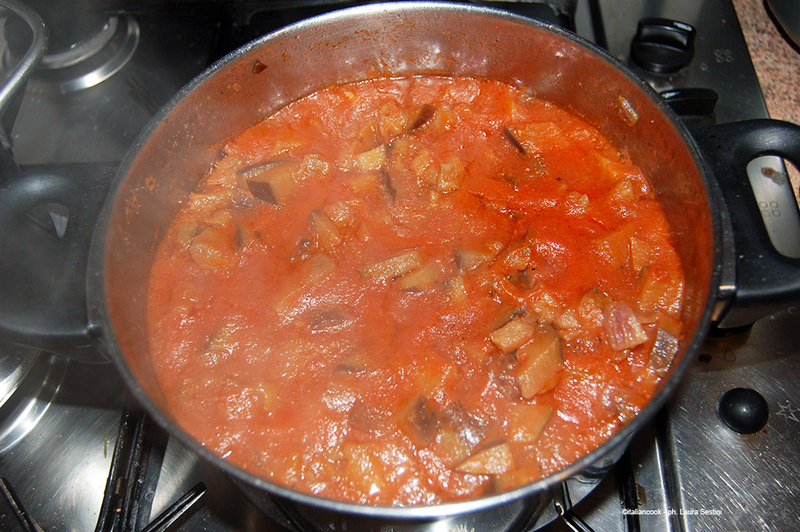 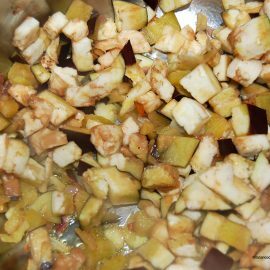 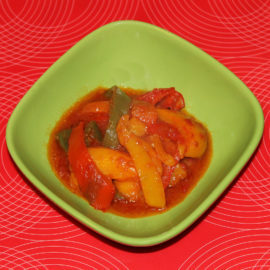 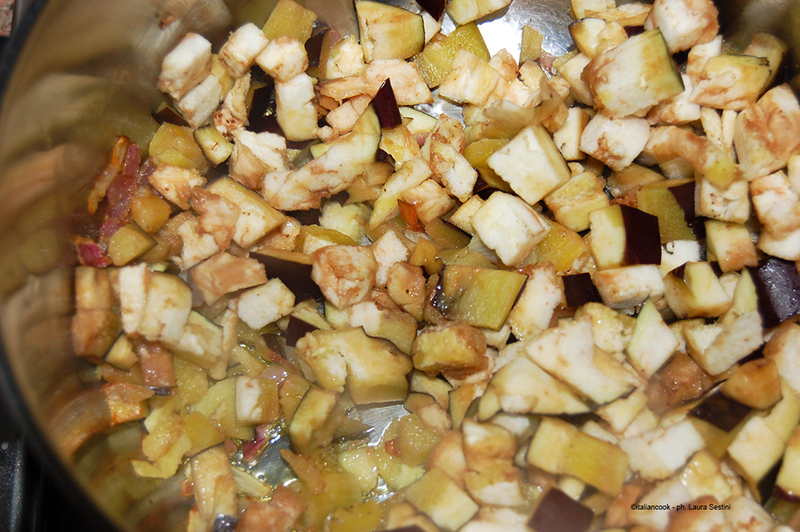 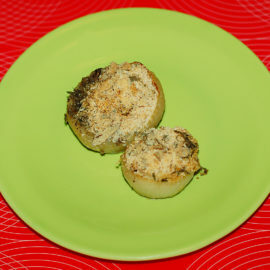 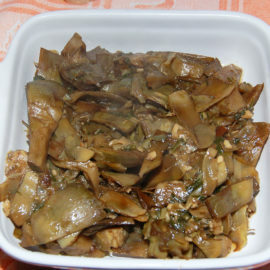 Mince the half onion and fry in a little oil, when it's browned add the eggplant cut into cubes. 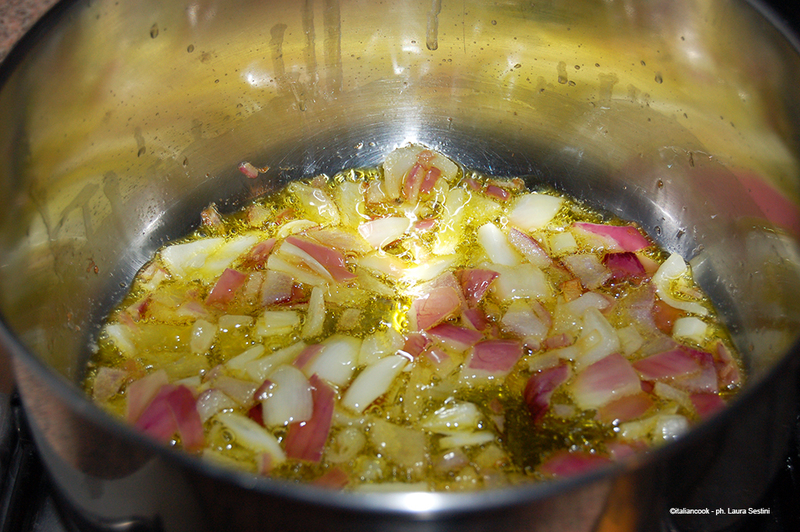 Fry some minutes and then add salt and pepper. 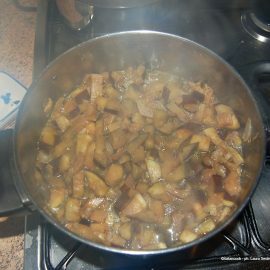 If necessary add a little water. 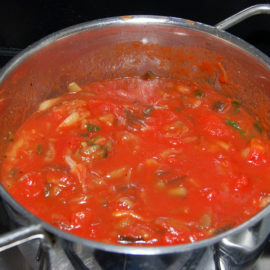 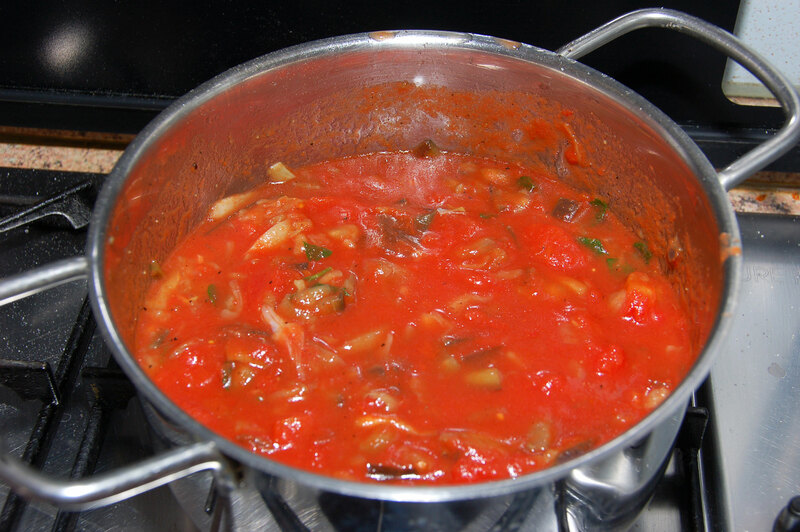 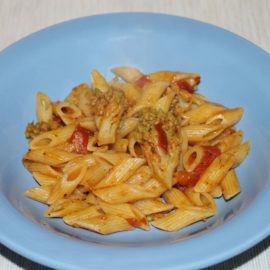 Bake for about 10 minutes then add the tomato, other 15/20 minutes and the sauce is ready for to season preferably short pasta.